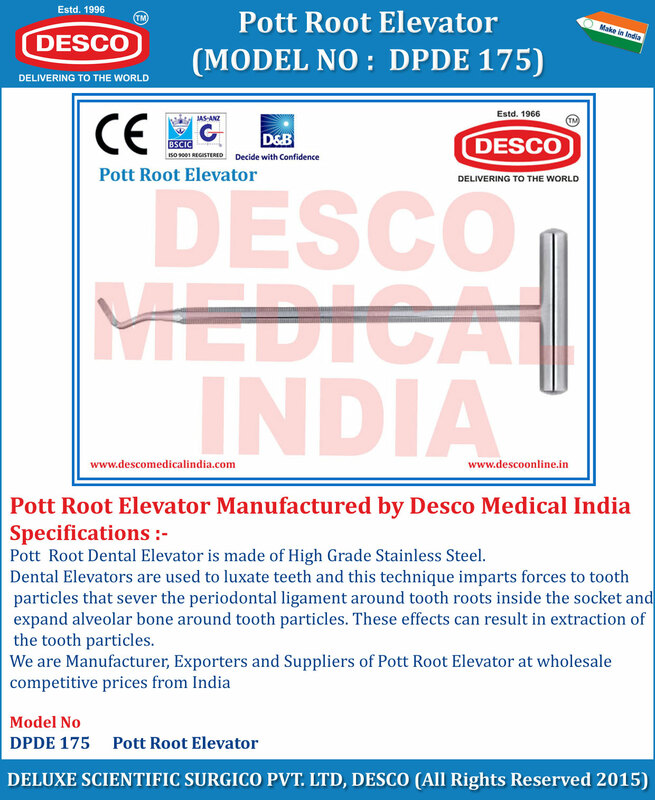 Pott Root Dental Elevator is made of High Grade Stainless Steel. Dental Elevators are used to luxate teeth and this technique imparts forces to tooth particles that sever the periodontal ligament around tooth roots inside the socket and expand alveolar bone around tooth particles. These effects can result in extraction of the tooth particles. We are Manufacturer, Exporters and Suppliers of Pott Root Elevator at wholesale competitive prices from India.